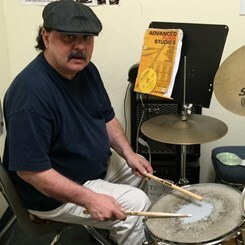 Teaches all styles of music, such as metal, punk, rock, funk, jazz, swing and school music. Teaching experience with thousands of students including, Travis Barker of Blink 182. Request Lessons with Steve today!